How can our Belchertown MA storage units help you this new year? Amherst Self Storage is located in Belchertown MA, just outside Amherst MA which makes storing your belongings convenient. 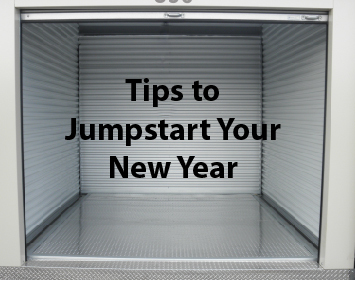 Drop off your personal items or extra business inventory in a storage unit and get back to your new year’s resolution. This time of year is a great time to refresh your space! Is cleaning on your resolution list? Check out these podcasts to speed up the process. After everything is organized, give us a call to rent your storage unit online. A Slob Comes Clean This podcast will give you guidance on decluttering your space. The host makes it easy to straighten up after the holidays and our storage space in Belchertown MA is here to keep seasonal gear out of the way. Slow Things Down After a hectic holiday season, the new year is a time to refresh your space and clean out clutter mentally as well. The Slow Home podcast teaches you how to live a minimal life. Remove tasks that cause stress and take back your space. Self storage can help clear items out and still keeping them safe. Talk with Amherst Self Storage experts about your storing needs this winter. An organized home can make all the difference, and our Belchertown MA storage space can be the missing piece.